1st January 2015 - Amendment 3 of the IET Wiring Regulations BS 7671: 2008 (2015) Requirements for Electrical Installations, came into effect. There is a six month lead-in period in which electrical contractors can get up to speed with the changes and can design, install and certify to either Amendment 2 or Amendment 3. 1st July 2015 - All electrical installations that are designed or periodically tested from 1st July 2015 will have to comply with the updated Regulations. Contractors will be expected to hold a copy of BS7671:2008, incorporating Amendment 3, for any assessment visit taking place after this date. 1st January 2016 - Regulation 421.1.201 (Protection against Fire caused by Electrical Equipment) comes into full effect. 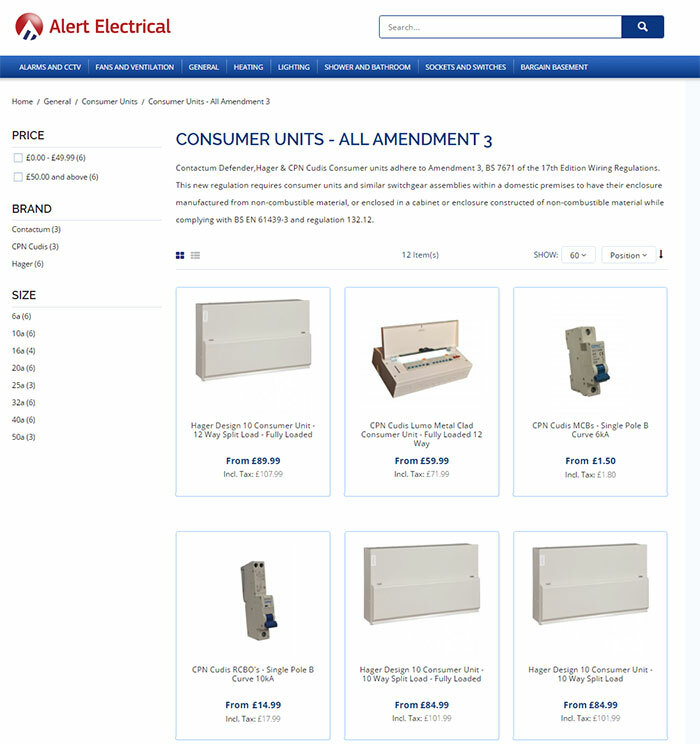 It also includes a NEW Regulation 421.1.201, which requires that within domestic (household) premises, consumer units and similar switchgear assemblies shall comply with BS EN 61439-3 and shall have their enclosure manufactured from non-combustible material, or enclosed in a cabinet or enclosure constructed of non-combustible material and complying with Regulation 132.12. This has been introduced as a result of London Fire Brigade reporting that a rising number of domestic house fires were being caused as the result of the consumer units catching fire. The purpose of this Regulation is to contain any fire within the enclosure and to minimise flames from escaping, caused mainly as a result of poorly installed connections and poorly located units in the home. Whilst metal (steel) enclosures are deemed to offer the best non-combustible characteristics, any installed consumer units with plastic enclosures is not necessarily a fire risk if the consumer unit and its incorporated components conform to the relevant product standard(s), do not have latent defects, and have been installed correctly to the manufacturer’s instructions. It is however, better to be safe than sorry!